Moving and positioning yourself the same way all the time is a lot like eating only blueberries. The movements and positions are likely perfectly healthy, but there isn’t enough variety to nourish the body. You put similar stress though similar tissues, so they get a bit irritated and you start to become stiff and/or achy. Fortunately, a little bit of relaxation can calm down some of that irritation, and introducing some new ways to move can help you to build a well rounded movement diet. By having more movement options, you’ll likely start feeling better and you may also reduce the chances of experiencing similar future discomfort. 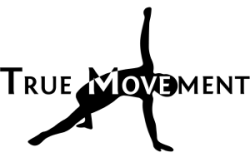 The Message: Almost all movements and positions are healthy as a part of a varied movement diet, but insufficient on their own to nourish our bodies. Introducing new ways to move can frequently help to address the irritation and stiffness associated with a lack of variety in habitual movement.